The Reed Organ Man is passionately into locomotives - steam only, of course. 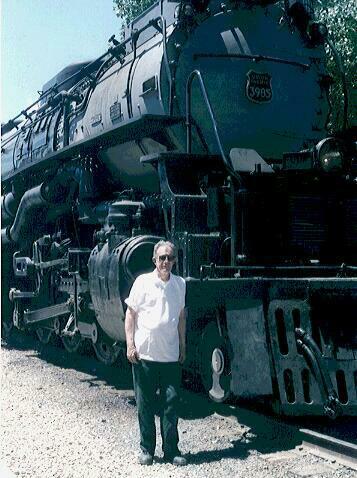 Photo taken in front of the Challenger (RailFair1999, Sacramento CA). Who says "size doesn't count"? Jim is very fond of Victorian houses, like his! 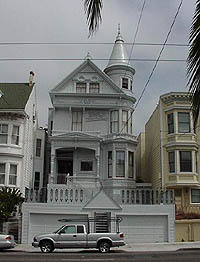 (Click photo for a larger view). And hes crazy about street railways. 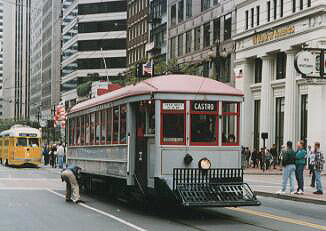 San Franciscans are lucky: Fifty- to seventy-year-old streetcars are routinely pressed into service to relieve the failing Boeing-Vertols, only twenty years old and already being replaced.